Debbie Capen, Executive Director of MiraVia, a pregnancy care center on the campus of Belmont Abbey College, discusses her personal story and the mission of MiraVia. Thank you for joining us for this week’s special Focus on Faith edition of Family Policy Matters. Today, I am pleased to be joined by a woman who is at the forefront of the pro-life movement. She walks with mothers in very real and tangible ways on a college campus in Western North Carolina as they navigate unplanned or crisis pregnancies. Debbie Capen is the Executive Director of MiraVia, a beautiful ministry in Western North Carolina that offers not just a wide variety of free support services for pregnant women, but also provides a free residential program for local pregnant college students. 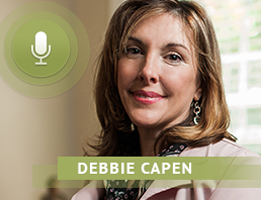 Debbie Capen, welcome to Family Policy Matters. It’s great to have you on the show today. DEBBIE CAPEN: I’m honored Pastor Graham. Thank you. THOMAS GRAHAM: Debbie, we all like to tell stories, and I know you have a powerful one to tell. Would you share a snapshot of your life story with our listeners, particularly your faith journey and how your relationship with God worked to prepare you for the work that you do today at MiraVia? DEBBIE CAPEN: Certainly! Thank you. I grew up in a Catholic Christian family in North Myrtle Beach, South Carolina and, like a lot of young children, I truly had a love for God at an early age. As I grew, like a lot of people that I know, that love starts to dim as we grow in the worldly ways. Especially when I was 13, my dad passed away suddenly. Unfortunately at that time, I started to look more for love and comfort in worldly relationships and ideas. And before long, I had gone off to college and had started to embrace a lot of the feminism and liberal ideology that I was being taught at collage, so that, by the time I was going back home, I was only attending church when my mom made me, when I was home for break. Unfortunately, as a result of that lifestyle, I was out partying and doing all of the things that I hope my own children never do, and got pregnant the summer before my sophomore year. At the young age of 18, looking back, I was not a woman. I was practically a child and completely terrified by the pregnancy. I drove back to college and made a walk down to the health clinic on campus because I wanted another pregnancy test just to confirm my fear. Also deep down, I was looking for help. I was looking for guidance. I didn’t know what to do. I remember standing there at the clinic desk and told them why I was there, and the woman just gave me this cold response, “Well, if you took a home pregnancy test, then you’re pregnant and there’s really nothing that we can do for you here.” I stood there, and I’m dumbfounded looking at her and she must have felt sorry for me and she said, “Do you want to talk to someone?” I said, “Yes.” and they sent someone out to me in the waiting room. I was mortified! They didn’t even call me back to a private room. I asked her what I should do and she said, “Well, I guess if you want an abortion go to the Yellow Pages and you’ll find some place there.” And that was it. That was the counseling I got. So tragically, I wish that I had reached out to my mom of course now, and I wish that I’d reached out to Christian friends that I knew. But instead, blinded by fear, I went to the Yellow Pages and I went through with the abortion. Honestly for a while, I was probably the poster child for Planned Parenthood. I graduated college, I met my future husband, I had a great job. And here I was with everything I thought I wanted. And deep down, I wasn’t happy. I wasn’t fulfilled. I could not put my finger on what was wrong. After a lot of self-reflection, I realized that I missed God. I missed His love in my life. I missed that peace. I didn’t know where to begin to go back to God. Deep down, I thought that I was unforgiveable, and the only thing I could remember were the “Our Father” and the “Hail Marys” that I knew as a child. THOMAS GRAHAM: That’s a good starting point. DEBBIE CAPEN: Honestly that’s all I knew. So, that’s what I did. I started to pray the “Our Father” and the “Hail Mary” and my prayer was that God would put me back on a path to Him. Day after day, week after week, I began to open the Bible. I went back to church. I was praying for my fiancé, and before I knew it, he was returned to God too. I opened up to him. I told him about my past. He was so loving, so forgiving, so encouraging. I told him, I said, “I want to help other women. I want to do something about this. I don’t want other people to experience that isolation from God that I felt.” So that’s what put me on this path to follow God’s call. THOMAS GRAHAM: My ears are just ringing with a feeling of blessing, hearing you tell me that. You know it’s exciting for me, Debbie, to think that MiraVia’s mission describes its Christ-centered work as being inspired by the examples of both of Jesus’ earthly parents, Mary and Joseph. Tell us, if you will please, how the example of this wonderful, this Holy Family, impacts both your motivation and also your tangible resources. DEBBIE CAPEN: Absolutely. We made it part of our mission statement to model ourselves after the Holy Family. From the very beginning when Mary gave her “Yes,” her fiat to God, to that life in her womb, that pregnancy she never expected. We want our mothers to feel that “Yes” and that joy of the life growing in their wombs. And just as Mary nourished our Lord and taught Him spiritually and met His emotional needs, we want to do that for our young women and to introduce them to Christ and for all of their growth and their spiritual journey. And then the example of Joseph: Joseph was entrusted with the physical needs and the sheltering and all that Mary and Jesus needed. 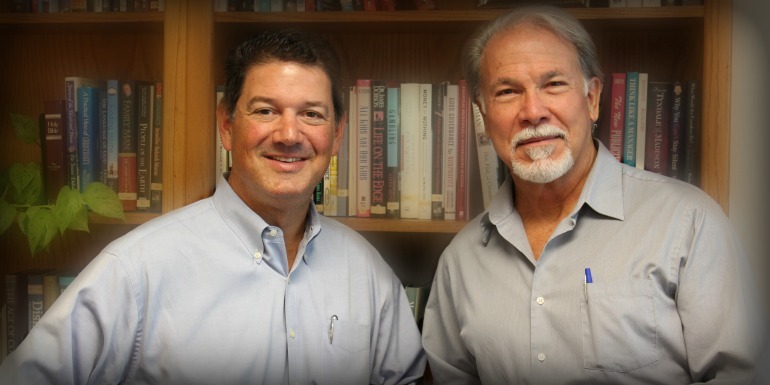 Our residential facility, I think, embodies that strength that Joseph provided: shelter and security. When women walk through our doors, they immediately, over and over again, tell us that they just feel safe and at home. So, from the meals we provide to the diapers and the crib, the clothing, the teaching them, the education, we’re there to show them what a real family looks like, and we become that family for them for the two years that they’re with us. We make sure that they have pastors in their life, and setting that example that not just while they’re with us but that they can take it out with them and create families, which are the building blocks of our society. THOMAS GRAHAM: So, why choose to be on, not just near, a college campus, Debbie? DEBBIE CAPEN: Unfortunately, I think the college campuses around the nation are a place where we’re losing the culture war. The people at Belmont Abbey College understand this and they have created an atmosphere on their campus that is a loving, Christian environment where they want to set an example and evangelize, not only to their students, but to the world. The Abbot [Chancellor] of Belmont Abbey offered to donate the land to us. What an unbelievable opportunity. From that invitation, we were able to get a foothold and to build this facility that we hope will be a model for colleges all over the country and the world, because, if we’re not going to them, then we’re losing. The women who come and live with us and go to school either at Belmont Abbey, or wherever they’re already attending school— because honestly, that’s our hope that they can continue on the trajectory that they’re on—they’re coming and they’re becoming a witness on their college campuses. You never see pregnant college students, right? But now people are seeing it. And once they can see it and understand it’s not the end of the world, it’s the beginning of a new life, that’s how we are changing the culture, one by one, step by step. If I could give a quick example. One of our residents, she was on a college sports team and she bravely decided to choose life and her coach was supportive and although her teammates at first thought that she was crazy, by the end of it, honestly these young women were babysitting for her and throwing her baby showers. She told us that in confidential moments they were sharing with her that they always thought they were pro-choice, that if they ever got pregnant that they would choose abortion, but now after seeing her and her sweet little boy, they knew that that was not the way to go. From one person, she impacted dozens. THOMAS GRAHAM: Isn’t that terrific, I just love that. Debbie, what are the most sought after services that you provide to young women, and which ones do you think are the most important there? DEBBIE CAPEN: Honestly I think the most important service is intangible. We’re an end to fear. Abortion is motivated by fear and when they come to us we’re able to show them that they don’t have to be afraid. There’s nothing to be afraid of, that all the things that they’re thinking of, there’s actually a solution to that. And so, you really can’t pick one because they’re all interwoven from knowing: Okay, I don’t have to drop out of school. I don’t have to worry about where I’m going to live. I don’t have to worry about how I’m going to feed my child. And honestly, one of them is just our counselors who help them to understand how to have those difficult conversations in their life with their family and with their friends, with their professors and all of those in their life that they’re worried about the challenge with those relationships. We’re here to give them the tools that they need. THOMAS GRAHAM: I think that’s great. What are the most needed or perhaps the best ways for someone to reach out and minister to mothers in their own communities who are facing unplanned or difficult pregnancies Debbie? Based upon your experience, what do you recommend? DEBBIE CAPEN: Of course, first of all is prayer. I think that my conversion, I know, was the fruit of people’s prayers for me. I think that being non-judgmental and understanding that everyone is on this journey, this miraculous way that we’re all on. Just looking in our own backyards, that the prolife organizations that are around us, we all need help. I think the best places to start are the pregnancy resource centers, the maternity homes, the pro-life advocacy groups that are already in existence. We are strength in numbers and we need that unity that crosses any divide to continue to help this effort to understand that all life is sacred, every life has worth, and every woman can be ministered to. I think that a lot of times it’s about how we talk about it in our own homes, so that we’re helping each other to be able to be prepared. No one ever expects for that moment to come for someone in our lives to be pregnant that we don’t think is ever going to happen. And it’s so important for us to start right where we are in our own homes and lives and workplaces to be that light in the world. THOMAS GRAHAM: Debbie, this has been such a joy to hear you and to listen to your story, and to hear how much you are helping young women who are caught up on these unplanned and difficult pregnancy situations. However, our time has about run out. Before we close this interview, I’d like to ask you, Debbie, where can our listeners go to learn more about your work, the work of MiraVia? Where should they go online? DEBBIE CAPEN: Our website is miravia.org and we’re also on Facebook and Instagram and Twitter. We do get referrals from online, and every time something is liked and shared, then the word gets out more. THOMAS GRAHAM: I love it. That’s just great. And Debbie now it’s my pleasure to just say a big thank you. Thank you for being with us today on Family Policy Matters. Thank you also for your life-affirming work and your loving work with MiraVia, helping young mothers face a very, very difficult time in their lives. Thank you so much for letting the Lord use you the way that he has. God bless you and God bless the wonderful work of MiraVia. DEBBIE CAPEN: Thank you Pastor Graham, and thank you for giving us this opportunity to continue to get the word out.